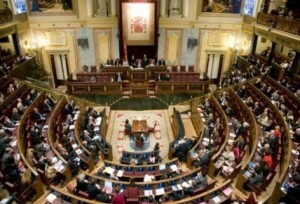 The Spanish Congreso de los Diputados has rejected the request from the Parliament of Catalonia to transfer the power to organise referendums to the Catalan Government, using Article 150.2 of the Constitution in order to organise an agreed self-determination vote in Catalonia. After a seven-hour debate, 299 members of parliament voted against the petition and only 47 in favour, with one abstention. Both big spanish political parties, the People ‘s Party (PP) amd the Socialist Party (PSOE), along with others smaller ones, voted against the request. Obviously, this vote does not imply that the process towards independence is over. 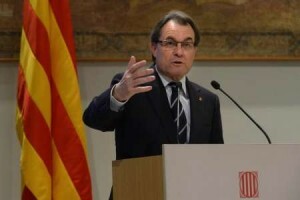 In fact, Mr. Artur Mas, had previously declared that the national will of Catalonia won’t be stopped by a legislative vote. Currently, polls show that support for a self-determination referendum reaches 80% in Catalonia. Also between 50 and 60% are for Independence. The opposition of the above mentioned Spanish political parties (the fourth and third forces in Catalonia, respectively), show that they are afraid about the outcome, and opt to play the legal card in order to avoid the free and democratic expression of the People of Catalonia. Nevertheless, Catalans are committed to democracy, and determined to carry out the vote, to be held on November 9th.